The best for starting up! You are growing! Keep going! 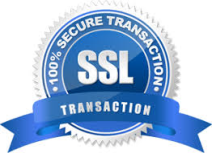 SSL certificates are included in all the plans for complete security and peace of mind. We provid 100% uptime guarantee that our servers will be up always without any interruption during the given month. Our servers are much more Secure. To match up with huge traffic, we provide the Fast servers for hosting. All of our servers are backed by individual gigabit uplinks on a 10 Gbit/s backbone, through a wide set of separate carriers for redundancy, as well as the best possible latency. This is paired with intelligent route optimization and extremely good peering. Choose from one of our many available operating systems. Fancy Windows Server, CentOS, Debian, Ubuntu, or possibly CloudLinux? These are just some of the options available. SLA, which means that you can be safe in knowing that your VPS will remain up and running. Our scalable VPS servers provide the flexibility you need to grow and react with the activity of your business. Scale up to accommodate for traffic increases in no time at all. What operating system do you have on server? Our server is running with Linux based CentOS operating system. Which control Panel do you have ? We have well known and easy to use Pleask Control Panel. I dont know how to migrate my website. Do you have any details explaining it ? Or do your support guys take care of it ? Cyberly don't provide the website transfer service. However, if you need you can contact support for further assistance. Is there any hidden charges , other then what is shown on website ? No, there is not hidden charges. You will have to pay only the mention charge. Start Hosting Your Website Today! Cyberly is one of leading and fastest growing web hosting company. With 100s of satified clients, we are moving ahead daily. We always strive to make sure each client is happy.